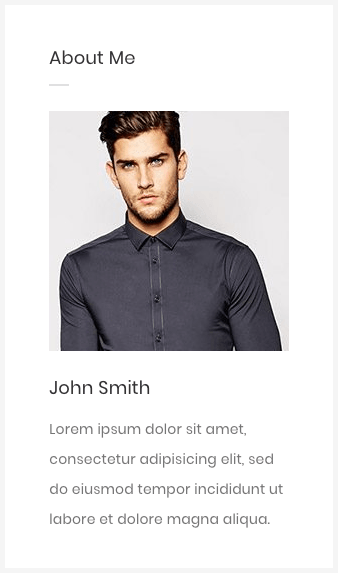 The About.me widget allows you to pull in your About.me profile information and a small screenshot of it. Step 2 – Simply drag and drop “Noor – About Me” widget into your chosen widget section. Another way of adding widgets to widget section is by clicking the widget and choosing from the list of the widget sections that will show up. Then, just click Add Widget button. 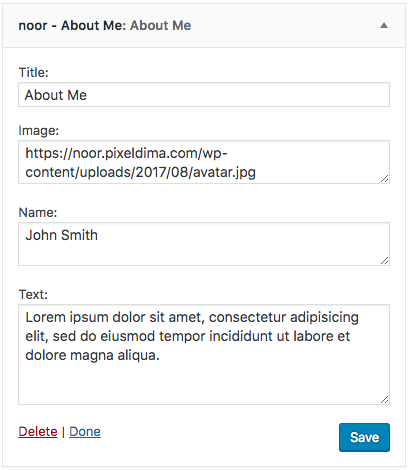 Step 3 – Add your widget title, your avatar image link, your name and text in the correspond fields then hit the save button.